Mine is a 1972 also. I've had to replace a few parts in it. But it's straightforward Seiko inside. Chrono24 is filled with scammers. I should be getting this modded SKX007 with a NH35 movement in about 4 weeks from Mad Mod World. Whoa !!! 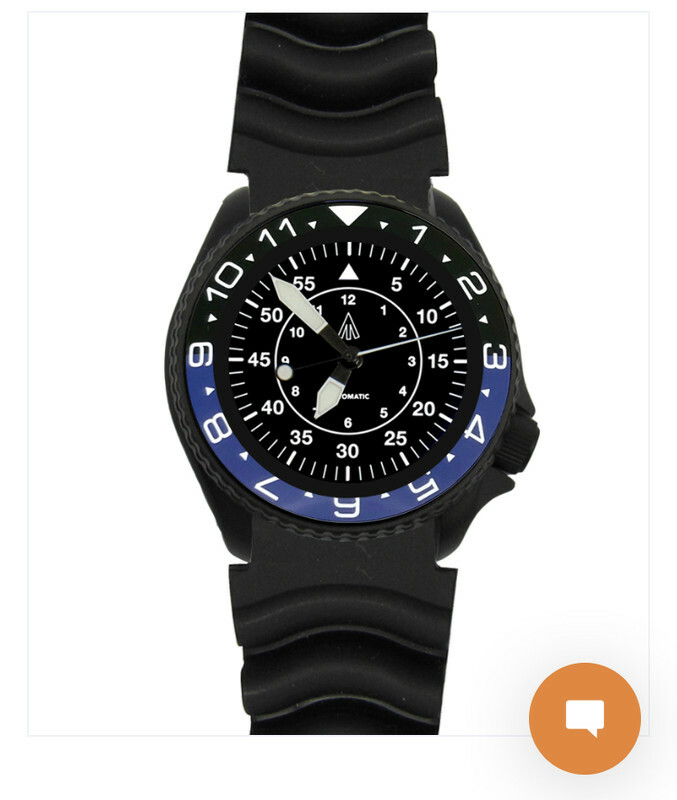 ... a scuba diving type B Flieger. Interesting. Standard issue on Malaysia Airlines. Speaking of watches we have en route. Here's one for the broke and bespoke like me. TISELL 40mm pilot (type A Flieger), MIYOTA 9015 automatic, Lume BGW9, Diamond Crown coming from Mr. Oh in the Republic of Korea. Tracking shows shipment 29Jan DAEBU but has been stuck since 30Jan after being handed over to the transport company in Incheon. Fingers crossed I get it LOL. Finally got the coin edge bezel I ordered weeks ago. I’m loving how it looks on this modded 6309. This looks a bit better on the cuffed band than the Citizen auto I had on there. I've posted this one before, but I like it. 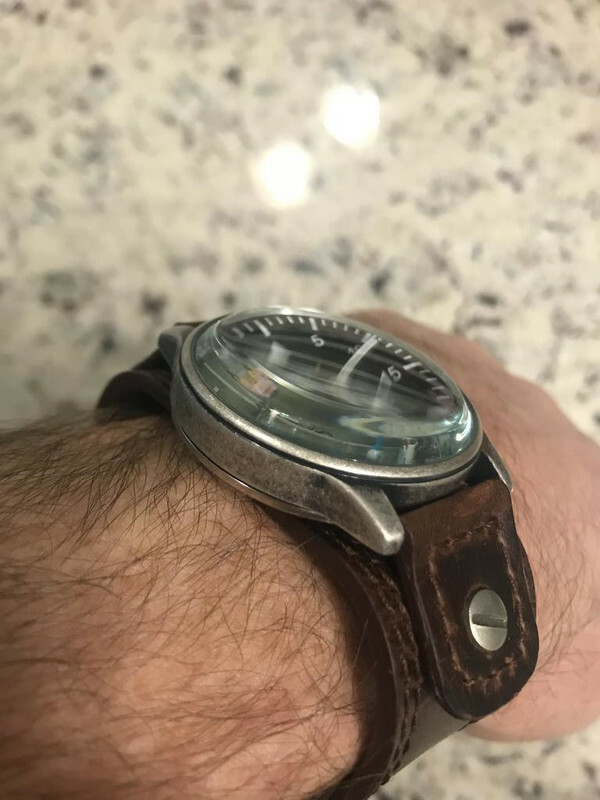 The best $20 I've spent on a watch (band). Black with Crimson Red, includes 2 strap lengths, QD pre-installed spring bars, and locking strap keepers. Oh, and very comfortable. 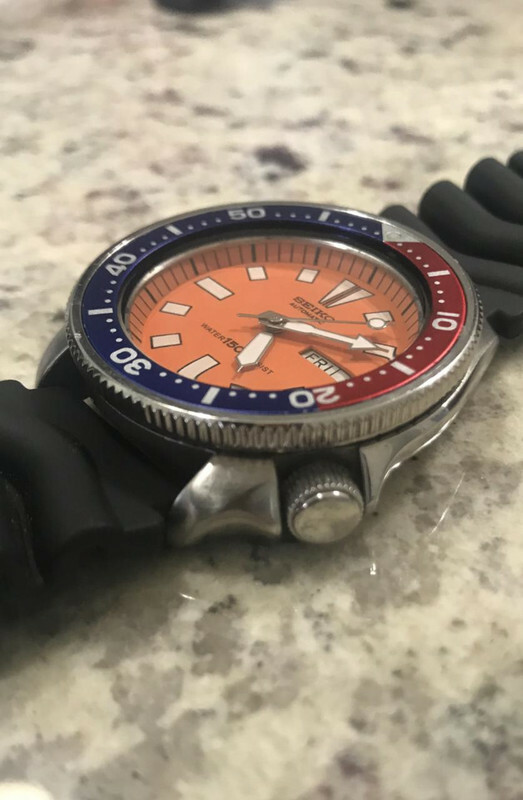 jhe888, That’s a great looking diver! Does it have the 4R36 movement? Yes, a 4R36. Post pictures of the Nemo when it arrives. I'm curious to hear what you think of the cyclops in person. Not usually a fan of metal bands, but this one was on sale. Now that I've worn it a bunch, I actually like the band. ^^^ I like the bracelet and the watch....a lot! I love JHE's blue turtle. Here's an old Waltham(1969) Marzy brought me last night. It had a stretch O flecks band on it. I replaced it with a JB Champion brick bracelet. SC, I had the blue-faced version of that Seiko, bought new in 1971 or early 1972. 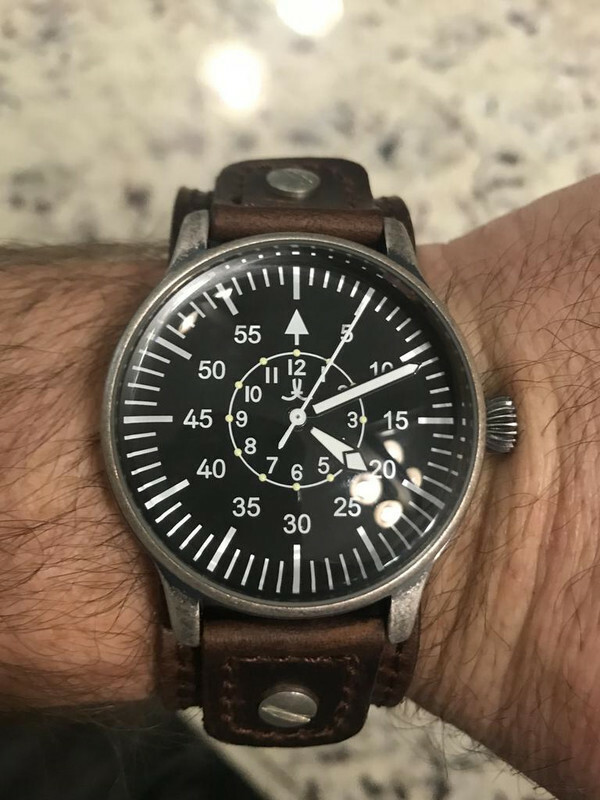 It was a fine watch, accurate and durable. 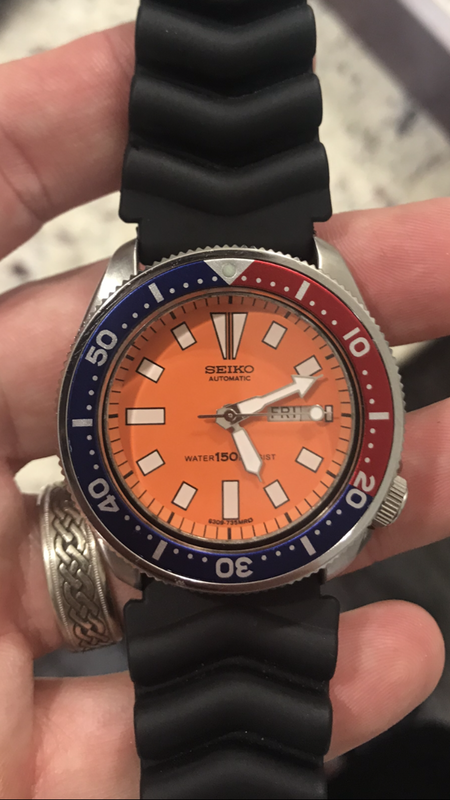 Unfortunately, it stopped dead in about 1978 and the Seiko dealer couldn't (or wouldn't) repair it. I found a replacement eventually, nearly identical and wore that until I got my Rolex in 1983. Good memories of that watch!